Locating on the coastal area of Quang Nam province, which is one of the provinces of Central of Vietnam, Hoi An weather is comfortable for tourists to visit around the year. 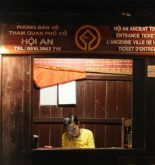 It is advisable that the best time to visit Hoi An is around February and April. This time is the end of dry season. The weather is fine with a lot of sunshine since the hours of sunshine are about 7 hours. Besides, the temperature is comfortable in range of 20-26 degree Celsius, that is convenient for tourists to wandering around the ancient town. In addition, the moderate humidity and little rainy days will encourage visitors to explore the city. Moreover, February to April is also known as the starting months in the lunar calendar with festival season. 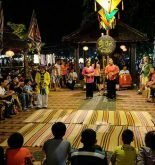 There will be a variety of festivals to cheer up New year, therefore, it is ideal time for tourists to come and enjoy the life of Vietnamese people. The town will be crowed with people in the 14th day of every month in lunar calendar – full moon Lantern festival. In the evening, tourists can witness flower-shaped candles floating on the Hoai River, which is really attractive and worth seeing. Located to the south of Bach Ma mount, the wall that divides climate of Vietnam, Hoi An belongs to the South climate of Vietnam, which is typically tropical. The temperature is high throughout the year which is always over 20 degree Celsius. The hottest months on average are June and July, during which the daily temperatures can peak at 33 degree Celsius. The “coldest” months are December and January, due to the affect of strong chill wind from the North area passing Bach Ma mount. The temperature slightly falls to 25 degree Celsius, which is comfortably warm in comparison to the chill in the North at the same time. However, in recent years, the lowest recorded temperature has been 17 degree Celsius, and the highest temperature in June can rise to 40 degree Celsius. Different from the weather in the North which is separated in to four seasons: spring, summer, autumn and winter, a year in Hoi An is distinctively divided by the rainy season and dry season. The rainy (or monsoon) season lasts from September to January. During this time, clouds will constantly move through the area, particularly in October and November with nearly two third of the month is rainy day, which can cause the constant rain and lead to the probability of flood. The wet season also come across the typhoon season, when the Central of Vietnam is influenced by the destruction of continuous typhoons on the East Sea. The dry season in Hoi An comes from February to July. In these months, the sunshine is abundant and rain rarely falls with average rainy days is approximately 10 days. 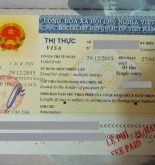 Therefore, it is believed that tourists had better to come to Hoi An between February and April when the temperature is comfortable and rainfall is low. 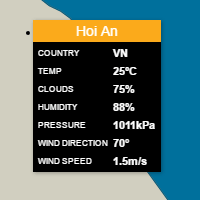 Checking the weather in Hoi An before starting to enjoy the best time there!